Heimess Pram Chain with Clips - Marine Anim.. 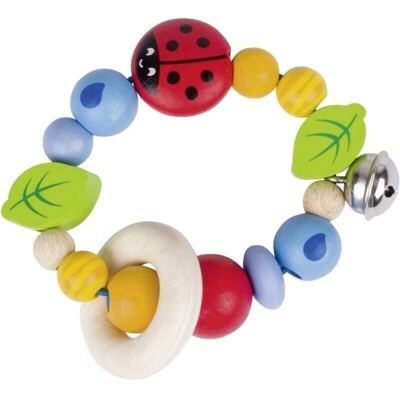 Babies love playing with and chewing on our all natural, wooden Heimess Touch Rings. Safe, fun and beautifully designed! Heimess Soft Colours: For the sake your baby and the environment we use only water-based paints for our high-quality toys and dispense with clear varnish containing solvents. This may result in traces of usage due to mechanical friction. The glazing of the beads leaves the fine structure of the wood visible.